Phenology: the study of cyclic and seasonal natural phenomena, especially in relation to climate and plant and animal life. March is a month of transformation, though it comes in stages. A few days ago, when the sun shown for the first time in a week, the air felt like spring. Black ski pants immediately soaked in the sun, warming my legs, mittens came off and a ball cap replaced my winter beanie. A feeling of lightness came over me even as I glided on the snowpack. I grinned and felt like I had a ringside seat to experience the change of the season. Today, the cloud cover is thick; snow falls, heavily at times, and begins to coat the roads. The air is chill; a return to winter and heavy jackets. March is the month that I begin to watch more closely for signs of spring. I search the roadside in Paradise Valley for the telltale bright blue of Mountain Bluebirds returning north; search for Kestrels sitting on fence posts on the dirt roads. Today I watch Bison graze in my yard—they know when snow begins to melt and expose tender grasses, or even dry dead grasses, in the Gardiner Valley. They depart the deep snows and difficult conditions of the Park’s higher elevations and head down to Gardiner to try to survive the last hurrah of winter. I watch social media, too. I watch for reports of the first Mountain Bluebirds, the first Meadowlarks, the first Kestrels. I note when I see them, but others usually spot them before me. As the month continues I begin to look for the first spring flowers, though I am probably being more hopeful than realistic when it comes to March flowers. There are a few places, though, that receive afternoon sun—I hike and search there as soon as the trails clear enough to hike. March is also the time of year that many of us head to the southwest to escape these last vestiges of winter. We try to avoid ‘mud season’, that time of year when snow is too rotten for skis and trails are too muddy to hike. As much as I love to ski, come March, I am ready for spring to burst through the cold and ice. 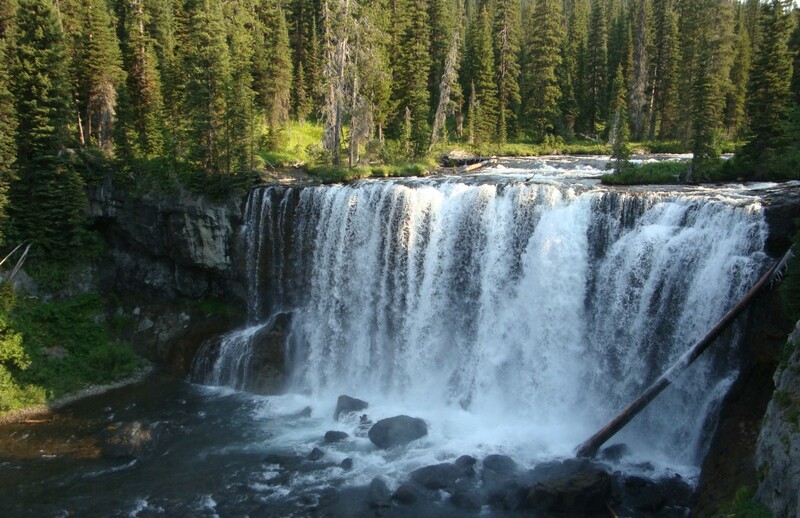 This year I will miss most of spring’s firsts here in Yellowstone. I will leave mid month for Baja, Mexico where I’ll be immersed in a different first: a yoga instructor course. I’ll miss the first Bluebirds, the first Kestrel. But I will experience the unknown territory of a desert/ocean ecosystem, and I will explore the inner wilderness of mind and spirit. I will have my own firsts to consider and integrate. And I will return to Bluebirds and Kestrels and Osprey and Buttercups. 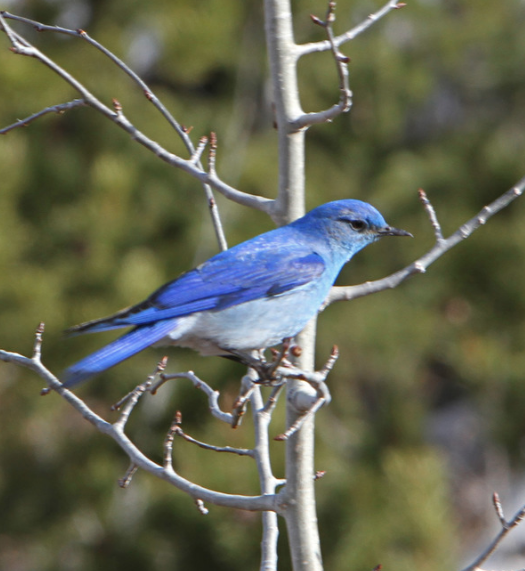 I love those Mountain bluebirds, little flashes of brilliant blue, hinting of springtime. Enjoy your yoga course. Perhaps you can teach me a few things this summer. I look forward to seeing you and doing some yoga with you soon! And, I hope I see some Mtn. Bluebirds before we leave tomorrow for Utah and parts southwest. Seems that this year I’ll be missing spring–since it has not arrived yet in this area… a friend did see a buttercup just north of Yankee Jim Canyon, though, and with sandhills and bluebirds and the osprey back, spring must be here, it’s just hiding behind snow and chill… sure it will pop out soon. I am looking forward to seeing you and Fred this summer and doing some yoga. When we return home I am going to have to have my hand worked on. The finger is not behaving like it should. I hope it can be fixed or I will be worried about my ability to life weights and perhaps even do some yoga poses. Keeping positive thoughts about it. 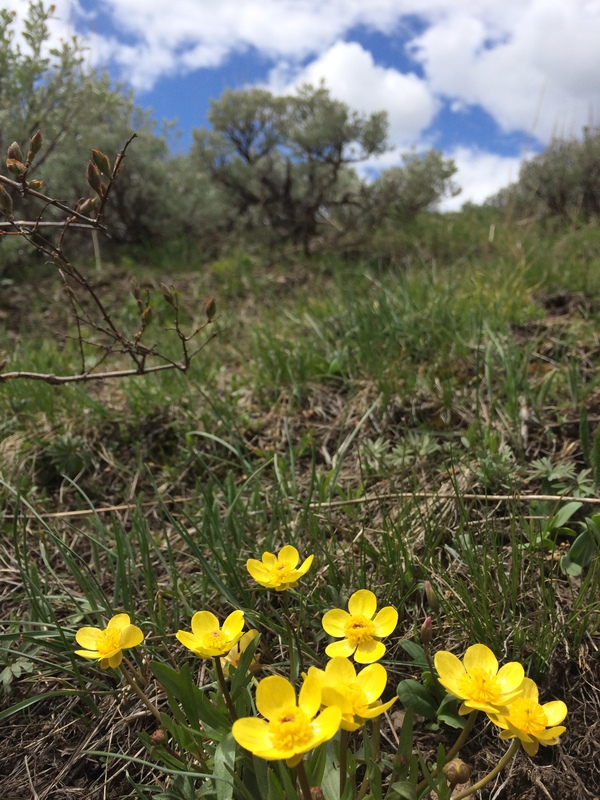 As for spring in MT, I hope it is not fleeting and you can enjoy it for awhile. Finally read this…let’s say I was saving it in my inbox for a time to savor it. The E.B. White quote is in my mind and just above eye level, taped to my desk. I digress. Your looking for bluebirds in the valley reminded me of coming into Cascade Meadow on the way home to Canyon and – whoosh – a startling blue flying from here to there. What a treat – thank you, Spring! Have fun in Baja – !buena suerte, Chiquita! …And I’ve finally gotten to read your reply now that I am home to connectivity. Thanks for the memory of Canyon! Baja was life-changing….